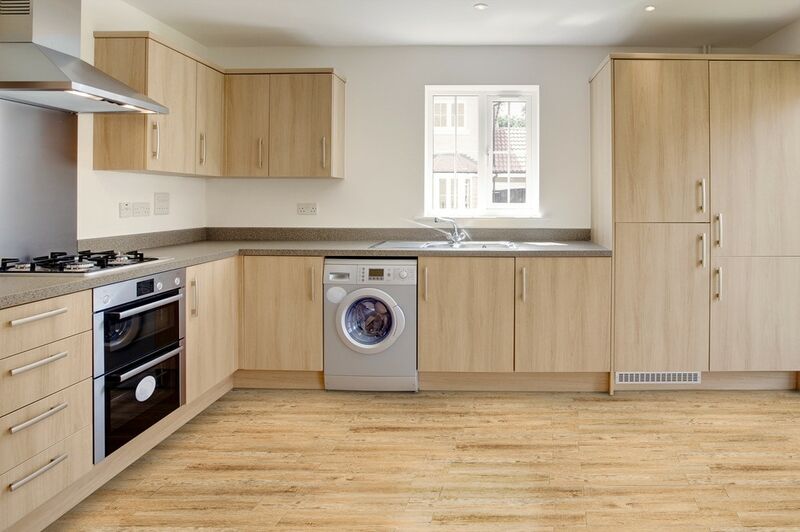 Choosing the best flooring for your kitchen can be an overwhelming decision. Ceramic tile is a popular product for kitchen flooring because of the many benefits it brings to both the design and the functionality of the room. This oven-baked clay material that dates back thousands of years and features properties that will ensure continued use in the decades to come. The vast range of colors, sizes, and styles available make it easy to find one that will elevate the design of any kitchen and stay relevant for many years to come. 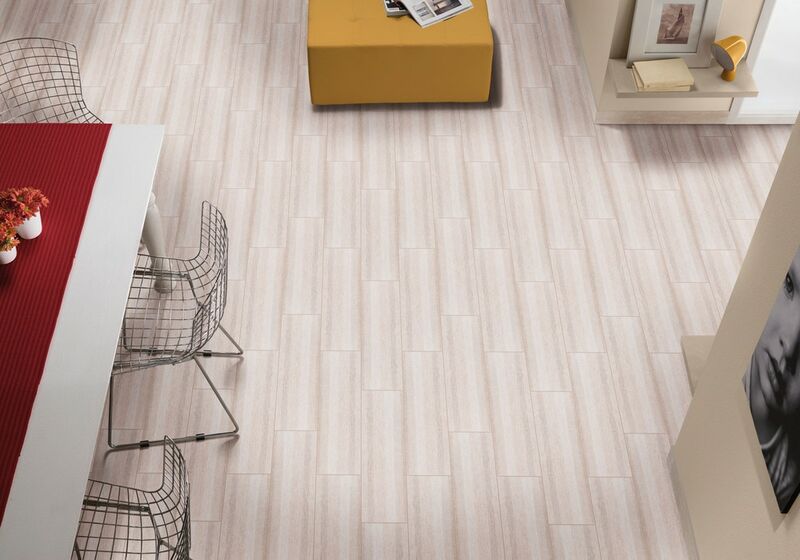 As with all types of flooring, ceramic offers a variety of pros and cons that need to be considered prior to installation. You don’t have to worry about the spread of germs when you feature ceramic tile as the kitchen flooring. The hard surface of the ceramic is virtually impenetrable, meaning it won’t harbor germs. This key benefit is especially in homes with pets and small children that are still crawling across the surface of the floor. A simple mop will lift off any dirt, food debris, and germs resting on the surface of the kitchen tile. Ceramic is both crack resistant and impervious to moisture, which makes it a durable addition to any kitchen or bathroom design. Ceramic tile features a glazed surface that provides an added layer of protection against drops and stains. This level of durability makes it a great choice when you are looking for continuous flooring that transitions from the living room to the dining room and kitchen in an open concept home. It doesn’t take much time to properly maintain glazed or sealed ceramic tiles. Regular mopping with a standard floor cleanser will pick up any food debris, germs, and dirt resting on the surface of the tile. The hard surface of ceramic tile is so easy to clean, it makes it a great choice for allergy sufferers that need to monitor dust and dander build-up. Using a heavy-duty cleanser on occasion will help to remove any harder stains, restoring the original look of the tile. One of the best benefits of ceramic tile is the vast array of colors, sizes, and styles available. With so many different options, it is easy to find one that best speaks to your personal design aesthetic. Keep it classic or opt for something more contemporary, such as ceramic tile designed to look like hardwood floors. When selecting the tile for your kitchen, consider color, pattern, texture, and the pattern in which the tiles will be installed. Accent tiles can be used to create decorative elements at the base of the stove or to create a border around the space, giving the kitchen a custom look. 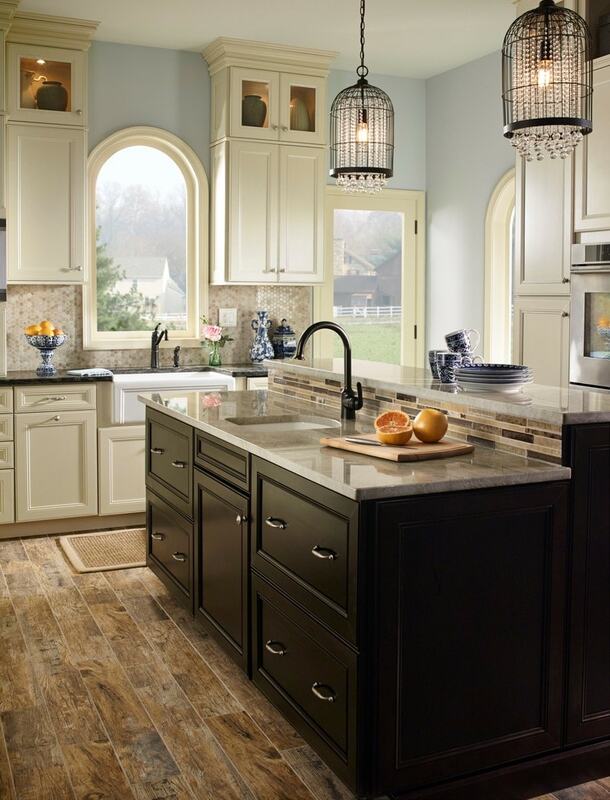 For large kitchens, a large-scale tile makes a great option. In a smaller galley kitchen, a jazzy small tile can make a big impact. 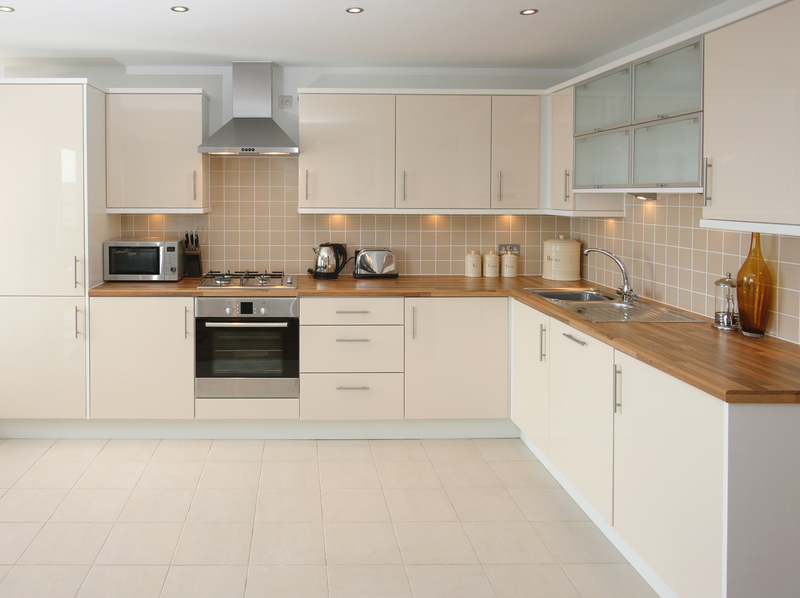 Consider choosing a neutral tile that allows for wall paint, cabinet finish, and countertops to be updated over time. Like tile, grout is available in many different color options. Choose a grout close in color to the tile for a streamlined look of change it up with a bright white or black to bring a bit of contrast to the finished design. Because unglazed ceramic is a naturally porous material, proper sealing is required to ensure durability. If the ceramic arrives glazed, additional sealing is not required upon installation. If the ceramic tile is unglazed, a protective sealant should be applied to prevent germs, bacteria, and liquid from penetrating the tile. When sealing ceramic tile, be sure to note the recommended reapplication instructions, as they can vary from one product to another and mark the date in a future calendar. In addition to the tile itself requiring a sealant, the grout lines between the tiles require a sealant to help protect against dirt, stains, and mold growth. Grout itself is porous and the sealant provides a protective barrier that prevents liquids from penetrating the grout and damaging the integrity of the floor. If the grout starts to look dark or dingy, a deep-cleaning with a brush or buffer will be necessary to get that bright and clean look again. While the hardness of ceramic tile makes it a durable choice, it can also be hard on the feet, back, and joints when you stand in the kitchen for an extended period of time. Adding a cushioned mat at the sink and stove can help to alleviate discomfort. If you do add a mat, make sure to clean the surface of the mat when you clean the floor to prevent the spread of germs. The hardness of ceramic tile also makes it a cold surface, especially in the winter months. Keep bare feet protected from the chill by slipping on a pair of socks, slippers, or shoes. If you live in an area with many chilly months, a heated underlayment is also a great way to warm the surface of the floor. No flooring material is without its drawbacks and overall, the vast benefits of ceramic tile far outweigh the step of sealing and feel of the hard surface beneath the feet, making it a popular choice for kitchens in both residential and commercial applications. Ceramic tile with a hardness rating of three or four makes a great choice for residential kitchens. A hardness rating of five ensures the material is durable enough to hold up to commercial use. Flooring isn’t the only application for ceramic tile. Check out a coordinating tile with a hardness rating of one or two to create a kitchen backsplash that ties the whole look together. Enjoy the look throughout the home by extending the installation of the tile to the bathrooms or laundry room as well. Once installed, ceramic tile in any room of the home will add style for many years to come.